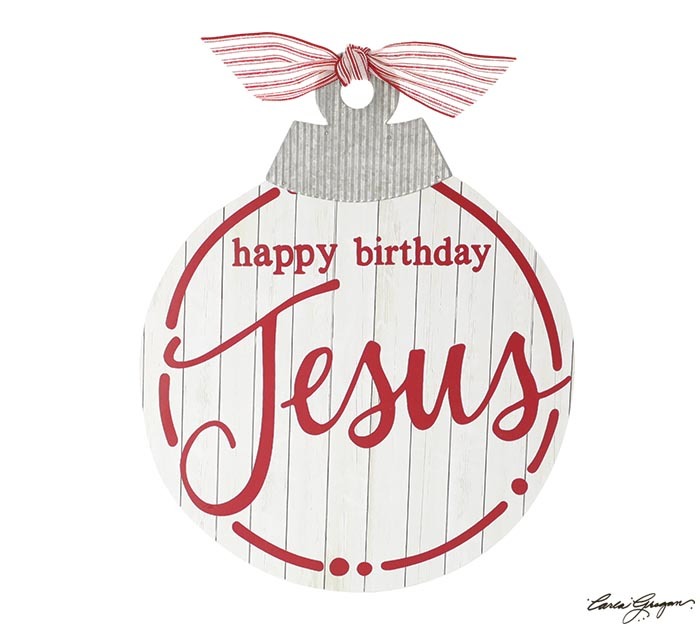 Happy Birthday Jesus ornament wall hanging with galvanized tin topper. Background of wall hanging is decoupaged to look like wood planks. Made of decoupaged wood and tin.